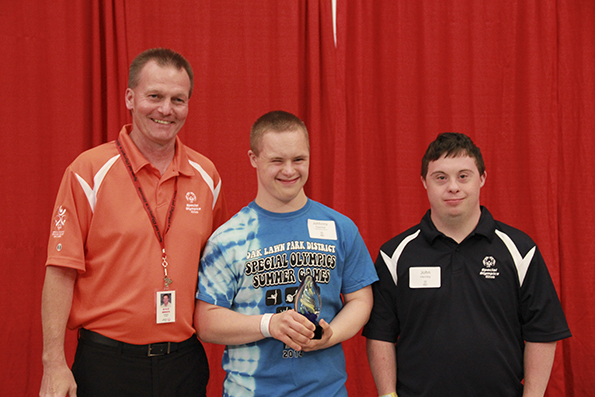 Johnny Damme, 18, of Hickory Hills was named 2014 Special Olympics Illinois Outstanding Athlete of the Year. He was honored at a reception June 13 before the Special Olympics Illinois Summer Games Opening Ceremonies at Illinois State University in Normal. The Outstanding Athlete Award recognizes a Special Olympics Illinois athlete whose achievements, dedication and commitment to their team and themselves exemplifies the purpose of Special Olympics. 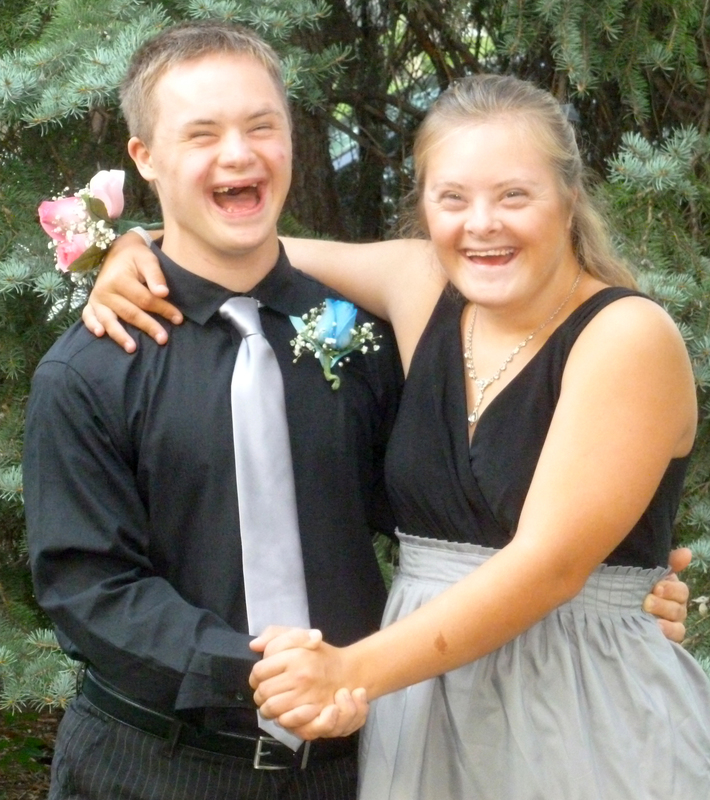 Johnny started in Special Olympics in 2003 when he was 8 years old. Johnny has competed in a variety of sports including basketball, swimming, alpine skiing, golf, soccer, floor hockey, bocce, athletics (track and field), tennis, and volleyball. He always displays good sportsmanship while practicing or competing and always gives maximum effort, according to his nominees for the award. After competition, he always has a smile on his face, whether he has just won gold or took last place. Johnny is also a certified scuba diver and has dived 25 feet in the Florida Keys. He has also participates on a special needs ice hockey team, called the Tomahawks. Johnny is employed at the Palos Community Hospital where he works in the cafeteria and kitchen. Special Olympics has assisted Johnny in being a good worker and he brings his various medals to show his classmates and coworkers. Johnny’s accomplishments include winning more than 70 medals and ribbons in Special Olympics state and regional competitions. Johnny is also a Boy Scout and loves camping and volunteering for community service projects.